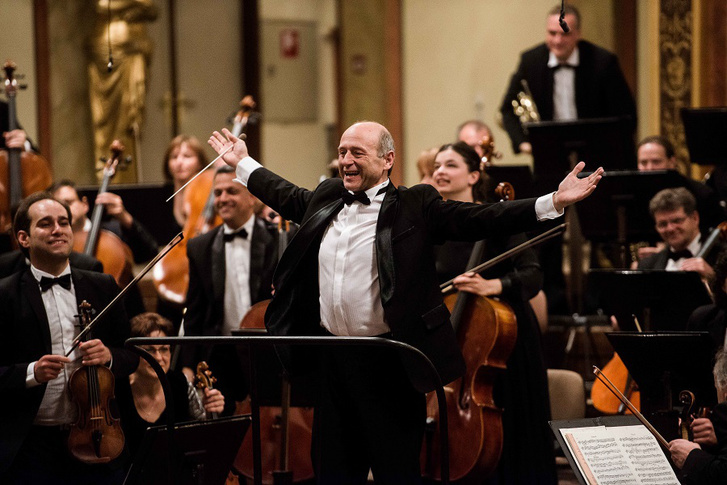 Budapest Festival Orchestra – 9 counties throughout Hungary – 2019. Free concerts of Budapest Festival Orchestra at famous sites in Hungary! April 11 – 17. 2019! Before … In Between … After! Arriving from the Carnegie Hall, the Budapest Festival Orchestra is also visiting the Hungarian countryside, then after travels to New York for their next concert. Mid April fine time to enjoy music and landscapes that goes well together. Locals and foreigners visiting or staying at these areas are more than welcomed to enjoy their stay at the below venues! The Tokaj landscape lovers can take part in their Synagogue concert in Mád, but also perform in the Makó and the Balatonfüred Synagogue. In addition to the musical experience in the House of Jewish Excellence in Balatonfüred,the exhibition titled “Jews and High Technology” also has a lot of excitement. The rabbis tell about the concerts, then Flodni (a traditional Eastern European Jewish cake) and the conversation closes the evening. The venues of the temple concerts are the picturesque at Pannonhalma, and Szob, where the concert experience can be combined with a Danube bend excursion, and also at the Óbuda Evangelical Church – where not only the Hungarians, but as well tourist may have a taste the experience during the Community Week. The band also thought about the young and the elderly individuals. Their music program can be enjoyed by the children of Pusztamonostor, Kiskunfélegyháza and Debrecen, while the musicians from Szentgotthárd to Kecskemét play concerts in twelve elderly homes in one week. At Apátfalva, for example, once the group has already played been on stage. In the Great Plain settlement they loved the band so much that now there is a bus to be rolling over to Makó to see the rehearsal of the Budapest Festival Orchestra (BFZ) – Synagogue concert. Be ready for the coming standing ovation!